during practice for the Monster Energy NASCAR Cup Series Toyota Owners 400 at Richmond Raceway on April 12, 2019 in Richmond, Virginia. If precipitation takes at break at Richmond (Va.) Raceway on Friday, allowing the Monster Energy NASCAR Cup Series to conduct pole qualifying, as scheduled, at 5:40 p.m. ET, the qualifying session will be abbreviated. The change is not weather-related. NASCAR announced the changes earlier in the week. The first and second rounds of Cup Series qualifying at Richmond for Saturday night’s Toyota Owners 400 will be cut in half, from 10 to five minutes. The third round will remain at five minutes. The time change is not permanent, but NASCAR is considering changes to Cup Series qualifying, moving forward. 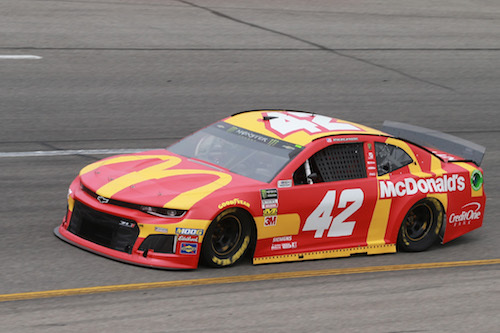 For Richmond, other than the time change, the format remains the same — the top-24 cars from round one advance to round two and the top-12 from round two advance to round three to contend for the pole. The NASCAR Xfinity Series also is racing at Richmond, with its ToyotaCare 250 scheduled for Friday night. Xfinity Series qualifying remains unchanged. Cup Series cars will be impounded after qualifying on Friday and won’t be inspected until Saturday. As a result, the starting grid won’t become official until Saturday.